A tile business can take on many different forms including handmade and factory-made tiles, tile installation, tile supply, tile cleaning and more. 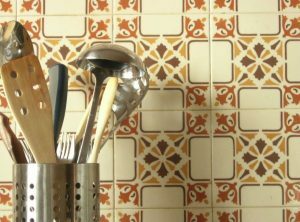 There are many types of tiles including ceramic and terracotta. Tiles can be used on roofs, floors, walls, and for other decorative and functional purposes. When choosing a name for your tile company, try to pick a business name that is easy to spell and remember. You may want to use your name such as “Frank’s Tile Services”, or you could use your location in your tile business name such as “Eagleville Tile”. It can be a challenge to come up with a creative and unique tile company name. A tagline connected with your business can help enhance a more general name. Some examples are: “Ceramic Tiles and More” and “Tile Installation and Cleaning”. A tagline is a great place to show your specialty. Below is a list of some name ideas to help inspire you in choosing a name for your own tile company. Some of these names are used by actual businesses. Make sure you research the tile company names in your area to make sure the name you choose is not trademarked or already being used. You can check for website name availability and get a FREE domain with web hosting purchase here.